Carter G-clamp review and information - Australian made? 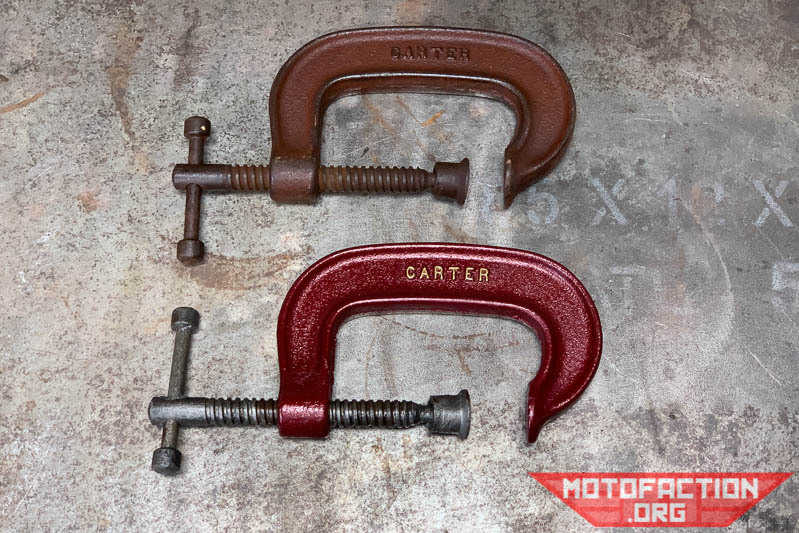 I have been restoring some Carter 3" (75mm) G-clamps (found on Oz eBay) and putting them to use and they're solid little things - I can find little specific information about the brand, though. Anyone got information or an old brochure featuring their products? Online I can find that the company name was Carter Tools Pty Ltd Australia and that it was based in Sydney post-WWII and ran for about twenty years (is that 1945-1965 or another range?) making a variety of tooling, but beyond that not many specifics outside of the realm of hand planes. There are some low-res pics floating around of Carter-branded semi-steel cast offset vices - would be interesting to see some proper photos of their products! Top is how I acquired them, bottom is after a de-rusting, clean and paint. They stand up to clamping as well as you would expect - so if they're cheap and undamaged or if you have a particular interest in Australian tools, worth a look.